I am preparing major update of my website (stay tuned! ;) and I'm going through my archive. Gosh, there are so many pictures which I like still even after many years! Yup, I am really proud of them. 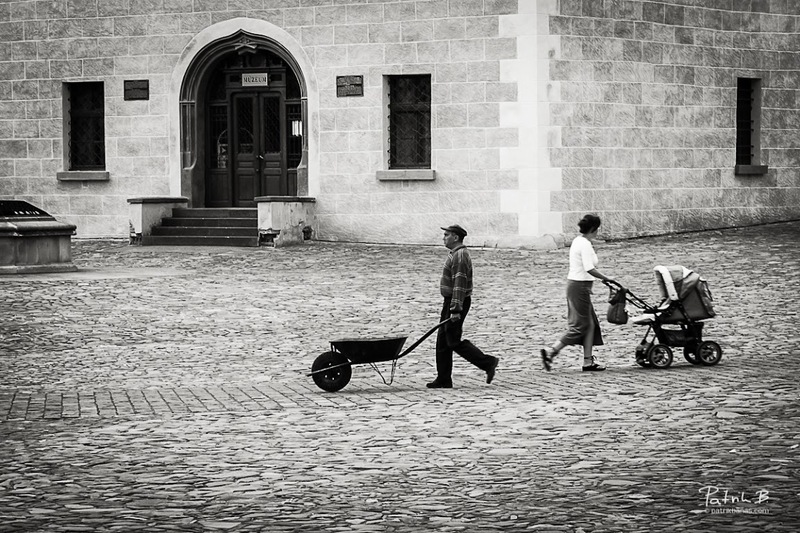 Like this one taken back in 2008 in my home town - Bardejov, Slovakia. Early morning - and you gotta admit - very decisive moment (and I bet Henri Cartier-Bresson would agree). Do you like to photograph your home town too? Aj vy radi fotíte svoje rodné mesto? Absolutely LOVE this shot. Street photo is definitely your cup of coffee, darling! Looks like back in 80's! !